John Constable RA (1776 – 1837), Seascape Study: Boat and Stormy Sky (detail), ca. 1824-1828. Leading art-world experts and international scholars deliver a unique perspective on the history of the depiction of landscape in art, from its origins in the Renaissance to the modern day, across a range of themes including forests, seascapes, gardens, deserts and cities. The Italian humanist and collector Marcantionio Michiel (1484-1552) was the first person to use the term “landscape” to refer to the genre and to recognise its development in the acclaimed Venice art scene. However, it was in the same period, with the rise of the Protestant church and its rejection of overtly religious art, that landscape painting found wider popularity in Northern Europe. Landscape appealed to the sensitivities of the Northern Renaissance for its decorative qualities. The German artist Albrecht Dürer is considered to have been the European pioneer of landscape painting, having documented his journey from Nuremberg to Venice in watercolour paintings and sketches. However, the practice was not yet widespread in Europe; it was not until the 19th century that landscape painting found its way into higher artistic discourses, when the French Academy created the Prize for Historic Landscape in 1817. Since then, artists have continued to explore the genre. The Barbizon French painters gave birth to idealised classical landscapes while British landscape artists had to contend with the relatively low status of landscape in the Academy’s hierarchy of genres at a time when a burgeoning cultural nationalism was creating an enthusiastic market for British landscape scenery and seascapes. At the end of the 19th century, with the arrival of photography, painters began to explore innovative approaches and interpretation of landscape. From the Impressionists whose en plein air approach broke with tradition and generated a radical new way of depicting landscape, to the Surrealists who created absurd and bizarre visual scenarios. More recently landscape has gained an even wider definition; concepts like urban and industrial landscapes and landscape architecture are now included in the genre and envisioned by wider artistic approaches such as photography, collage, and digital art. Landscape is continuing to evolve and rise in popularity among artists and art lovers. This course involves talks from tutors with experience of both researching and curating exhibitions around the theme of landscape. Focusing on a broadly chronological approach, this course will provide detailed discussion on the history of landscape art as a movement across the ages. £380. Includes all materials, light refreshments throughout and a drinks reception at the end of week six. This course provides a unique opportunity to learn about the history of landscape and explores the genre across ages and cultures, led by guest speakers and cultural leaders from across the art world. • You have a general interest in art history and would like a novel way to understand cultural and historical changes in art. • You have a personal or professional interest in how landscapes can be presented, interpreted and viewed by different audiences and in different historic periods. • You would like to deepen and enrich your knowledge with an expert perspective and explore in detail the development of landscape paintings. Dr. Sophie Oosterwijk has a PhD in art history (Leicester) and in English literature (Leiden). Her research focuses on portraiture and representation, death and commemoration in European art, but she also teaches extensively on medieval, Netherlandish and Dutch ar. She has published widely, including two co-edited volumes on the production of tomb sculpture in England and Wales in the fourteenth century (2010) and on the danse macabre in medieval and early modern Europe (2011). She is co-editor of the journal Church Monuments and also collaborated on the Dutch MeMO (Medieval Memoria Online) database, which was launched in 2013. Malcolm Andrews was Professor of Victorian and Visual Studies in the School of English until 2009. He is Editor of The Dickensian, the journal of the Dickens Fellowship. He is a past President of the Dickens Society (of America); he is also a member of the Comitato Scientifico of the Venice IUAV University Centre for the Study of Architecture and Landscape. Book publications in landscape aesthetics and the visual arts include The Search for the Picturesque: Landscape Aesthetics and Tourism in Britain, 1760-1800 (1989) and The Picturesque: Sources and Documents (1994). The Search for the Picturesque examined developments in the taste for landscape in 18th-century England, in poetry and painting, and made a special study of the first wave of scenic tourists to the Lakes, North Wales and Scottish Highlands in this period, drawing on a range of published and unpublished contemporary travel diaries. It is due to be published in a Chinese translation. The interest in landscape is also reflected in Landscape and Western Art (1999) a volume in the New Oxford History of Art series. This study reviews and explores some of the key ‘moments’ in the post-renaissance traditions of landscape art in Europe and North America, and considers the ideas and images of the natural world in art in the light of some recent theorising about landscape art. Georgina Gold, with over twenty years’ experience in the art industry, is an independent art advisor for international collectors. Based in London, she specialises in the Impressionists, Modern Masters and Contemporary Art. Prior to founding Georgina Gold Fine Art, she was a Senior Director, specialist and auctioneer in the Impressionist and Modern Art Department for Sotheby’s in London. Georgina initially joined Sotheby’s in Australia in 2002 and was Head of the Australian Art Department specialising in 19th and 20th Century art. When she returned to London in 2009 she became a Director of Agnew’s Gallery in London focusing on the 20th Century and Contemporary exhibition program, before returning to Sotheby’s. Before joining Sotheby’s in Sydney, Georgina managed Rex Irwin Art Dealer and focused on Contemporary Australian and British artists and prior to this she worked for Philips Fine Art Auctioneers in London. She has represented numerous charity events serving as the auctioneer, was selected as a specialist for the Antiques Roadshow, and has been invited to judge numerous art prizes. Dawn Ades is Professor Emerita at the University of Essex, Professor of the History of Art at the Royal Academy, a Fellow of the British Academy, a former trustee of Tate and was made CBE in 2013 for her services to art history. She has been responsible for some of the most important exhibitions in London and overseas over the past 30 years, including Dada and Surrealism Reviewed, Art in Latin America and The Colour of my Dreams: the Surrealist Revolution in Art. She curated Dalí / Duchamp at the Royal Academy and has published standard works on photomontage, Dada, Surrealism, women artists and Mexican muralists. Christine Riding is Head of Arts and Curator of the Queen’s House (Royal Museums Greenwich) and Chair of the Association for Art History. 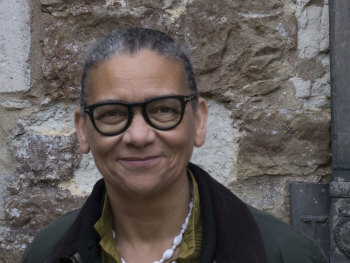 At Greenwich, she has led on the acquisition of Kangaroo and Dingo by George Stubbs (2013), the Armada Portrait of Elizabeth I (2016), and she curated the exhibition Turner and the Sea at the National Maritime Museum (2013). She also led on the recent major refurbishment of the Queen’s House, which was designed by Inigo Jones in 1616. 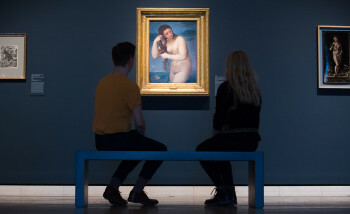 She was formerly Curator of Eighteenth and Nineteenth-century British Art at Tate Britain (1999-2011), where she co-curated a number of exhibitions including William Blake (2000), Hogarth (2007) and Gauguin: Maker of Myth (Tate Modern, 2010). She has a special interest in storm and shipwreck imagery, and her publications include Turner and the Sea (Thames and Hudson, 2013) and Art and the War at Sea, 1914-45 (Lund Humphries, 2015). Prof. Mark Rawlinson is a curator, writer and lecturer in 20th and 21st century Amercian art, photography and visual culture, as well as critical and photographic theory. He is currently Associate Professor of History of Art at the University of Nottingham and has written and contributed to numerous publications on photography. He has a special interest in the ways that photography has influenced art and artists, as well as conversely the impact of modernism and conceptual art practices on the development of photography.